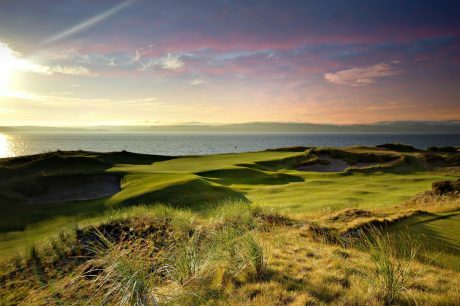 The internationally renowned Championship Course at Royal Dornoch Golf Club has been ranked 2nd best in the world in the latest Golf Digest list. The famous links is placed higher in the rankings than other top Scottish courses including Muirfield and the Old Course at St Andrews – both venues for The Open championship – and Trump Turnberry. It is the highest ever ranking for Royal Dornoch, which was beaten only by Royal County Down, in the World 100 Best Golf Courses list, which this year does not include American courses. In another advance for Highland golf, Castle Stuart Golf Links, which opened only in 2009, features at number 53 on the world list. Both courses are members of Highland Golf Links, a partner group which promotes golfing visits to the region. The organisation also includes The Nairn Golf Club and leading hotels, the Kingsmills and Culloden House in Inverness and the Royal Golf at Dornoch. Neil Hampton, Royal Dornoch’s general manager, said: “To reach No 2 in the world, albeit without American courses being included in this list, is a major achievement for the club. “It is wonderful accolade and a tribute to everyone at the club who works hard all year round to give our visitors the Royal Dornoch experience. Stuart McColm, general manager at Castle Stuart, added: “We are delighted to move up to No 53 in the world rankings, which is a great achievement for such a young course. 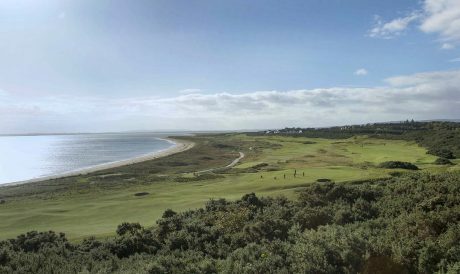 The popularity of Royal Dornoch and Castle Stuart, along with Nairn, has helped the Highlands enjoy a record-breaking year in 2017. For the sixth successive year, Highland Golf Links saw a rise in sales of Play and Stay deals to boost business during the ‘shoulder’ months of April, October and November – and advance sales for 2018 are continuing the upward trend. The unprecedented numbers of golfers visiting the area generated in excess of £500,000 in off-peak income. The number of deals rose by more than three per cent on 2016 and, with bookings for this year up 25 per cent, it means there will be more than 3,000 rounds played in the off-season months. Castle Stuart has hosted the European Tour’s Scottish Open four times in the last seven years. Nairn, which hosted the Walker Cup in 1999 and the Curtis Cup in 2012, staged the 2017 Boys Amateur Championship; while Royal Dornoch will this year be the venue for the Boys Home Internationals. All three courses feature in the annual HGL 54-hole Pro-Am, which in October attracted a record entry of 80 teams and provided another late-season economic boost for the Highlands.